In 1982, Herman Elegast (tenor) and Guido Cassiman (baritone) founded the ensemble Gospodi. Together with Jos Simal (baritone) and Paul Nieuwdorp (bass), they started exploring the world of Slavonic-Byzantine liturgical music. The meticulous selection of compositions required diligent research in a musical world that is not easily accessible. In the course of dominating the pronunciation, translating the liturgical texts and correctly interpreting the music, Gospodi closely got to know Slavists, iconography experts and the monastic community of Chevetogne. The ensemble has already produced several CDs and performs both in Belgium and abroad on a regular basis. Since 2005, the quartet is composed of Pieter Stevens (alto), Michaël Wittoek (tenor), Wenceslaus Mertens (baritone) and Frederik Meireson (bass). In Church Slavonic, “Gospodi” is used to invoke God and means: “O Lord”. The logo of the Gospodi quartet is a graphical representation of the famous Trinity Icon, painted around 1425 by Andrei Rublev. The icon is also referred to as “Hospitality of Abraham” and is based on the Biblical story in which the Lord, in the form of three angels, visits the Prophet Abraham and his wife Sarah (Genesis 18). 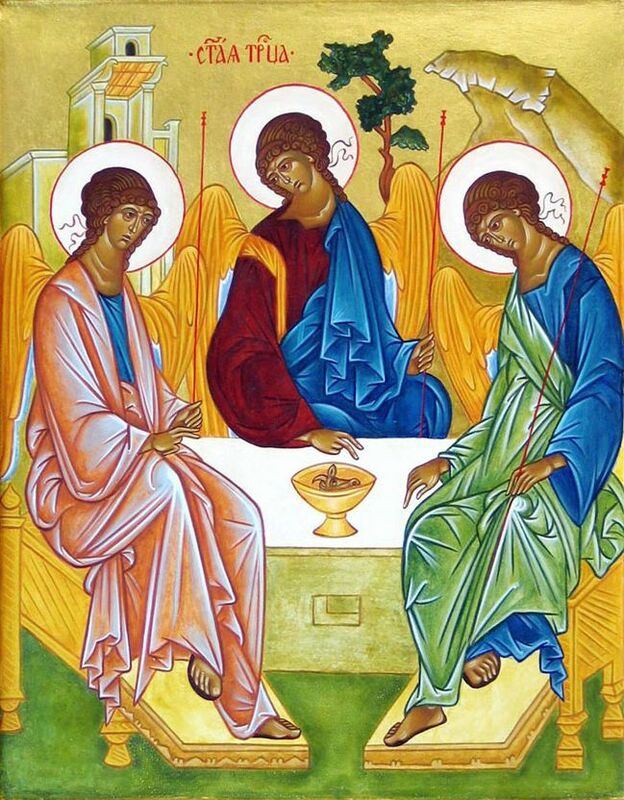 This icon is considered to be the perfect representation of God: three angels, perfectly equal, who represent the Inconceivable as the Father, the Son and the Holy Spirit. During their performance, the four Gospodi singers face each other, leaving an open space in the middle. This is reminiscent of the so-called symphonia. This is the circle of the Four Evangelists who in the opening miniature of the Rossano Gospels – the oldest illustrated Byzantine manuscript – show how they, in unison with each other, proclaim the Glad Tidings.